A California summer just wouldn’t be tolerable without a reliable air conditioning system for your home or business! Especially down here in the Bay area where humidity is so high it condensates on windows! 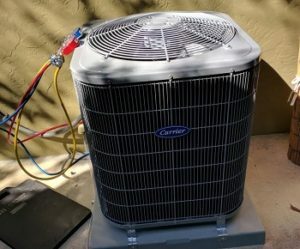 Air Temp Co is a trusted air conditioning contractor serving San Mateo, CA & surrounding areas with top-quality maintenance, repair and installation services. A lot of companies talk about customer satisfaction, or even include it in their company tagline. We live this promise every single day on each job we do. Our passion is to enhance the quality of our customers’ indoor comfort control by providing industry leading service and solutions. All of our work is backed with a 100% satisfaction guarantee that we really honor. In fact, our goal is much higher than just satisfaction — we want you to be thrilled with our service. We understand the demands of running a facility, and the role a commercial air conditioning system plays in this.